NEOS Protect Ltd were invited to Countryside Properties (Partnership South) 2018 annual Partners Award Dinner. The very best of their consultants, subcontractors and suppliers were recognised for their endeavours partnered with the opportunity to meet in a social environment to further build-up and develop relationships. 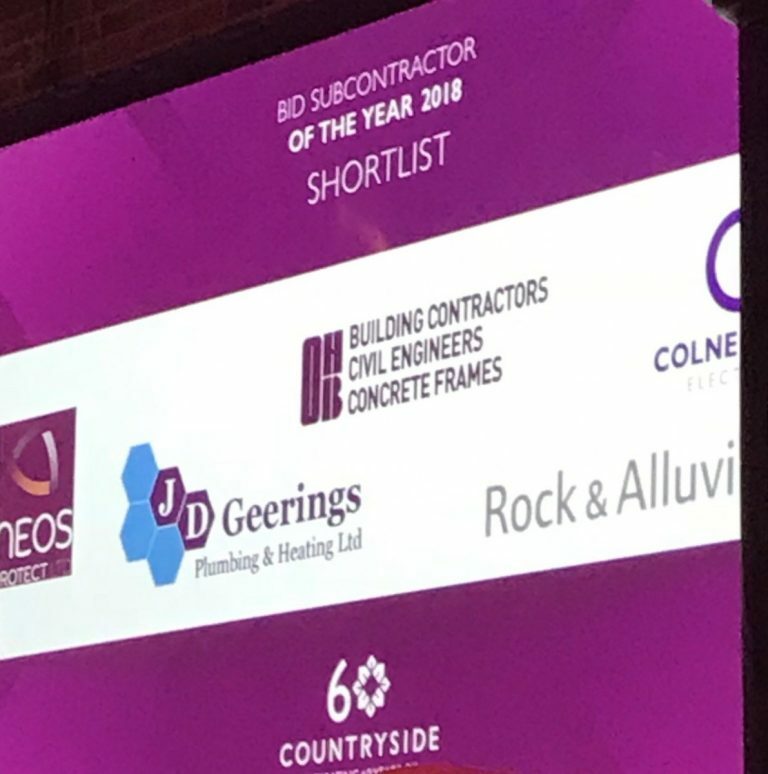 Following Supply Chain Workshops, covering various business topics, a welcoming drinks reception and tremendous meal, the Awards session, much to our surprise, showed NEOS Protect Ltd nominated against four of our peer sub-contractor companies. Although disappointed not to win, we were very proud to be nominated from Partnership South’s vast Supply Chain. This has made us more determined to do better next year and, further develop our working relationship with one of our leading Clients. NEOS Protect, do their little bit…………………. Housebuilder Awards 2018 winners revealed another major Client, Essex based Hill crowned Large housebuilder of the year at the Housebuilder Awards. Hill, which has been growing fast in recent years, was praised as being “a good company consistently delivering high quality development” by the judges. Hill also won, Best design for three storeys with Hanover Housing Association for its Woodside Square scheme in Muswell Hill (NEOS Protect Ltd, provided all the Communal Entrances to the numerous Housing Blocks). We are very pleased that in some way, we could contribute to this fantastic Award for one of our leading Clients. Best regeneration initiative went to Countryside and L&Q for Acton Gardens in London. This is a multi-phase regeneration scheme planned to deliver over 2500 units and due for completion in 2024. NEOS Protect Ltd, have been heavily involved in all phases providing the Communal Entrances, Common External Doors, Curtain Walling and associated works and look forward to continuing to give our support to a JV combining two major NEOS Clients – Countryside Properties and L&Q !! !